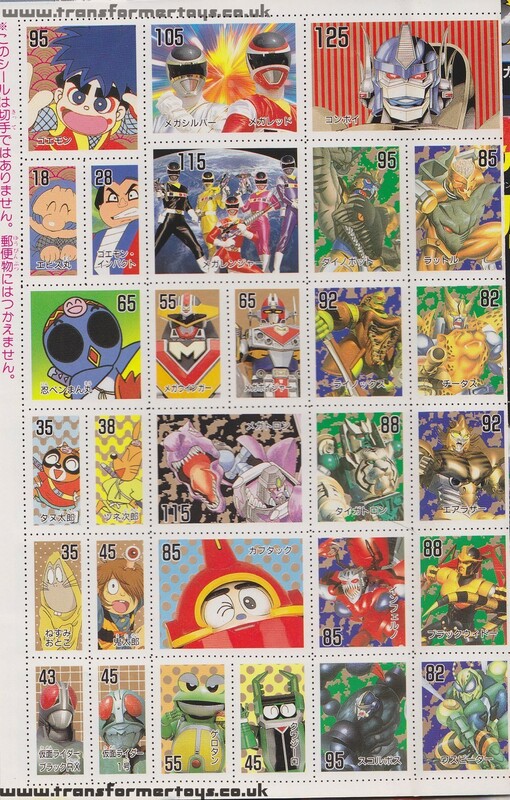 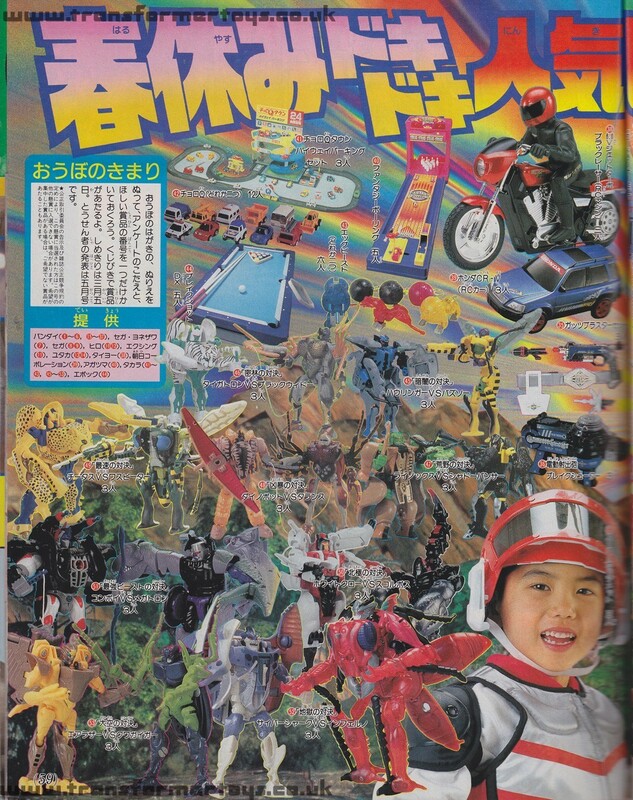 The images contained in this gallery are from the Japanese TV Magazine March 1998 edition. 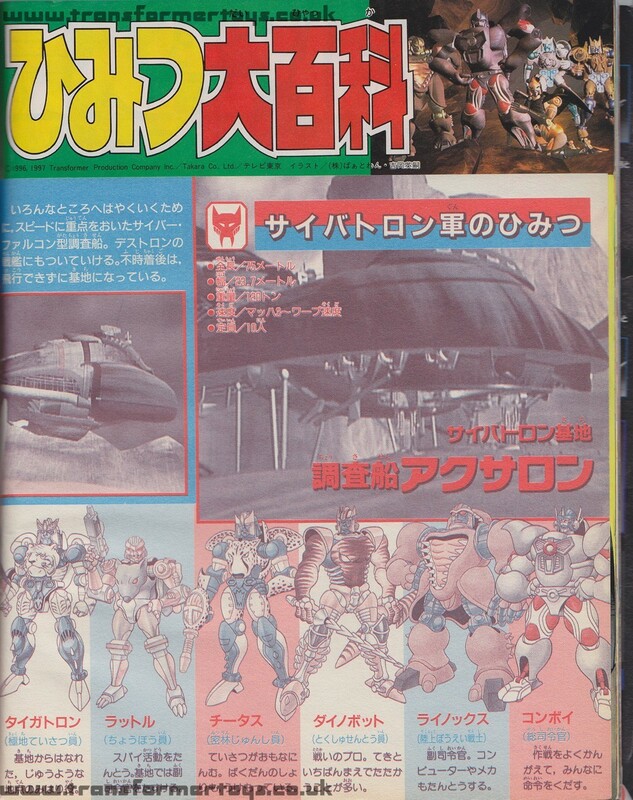 We purchased the magazine during one of our trips to Japan as part of our Lucky Draw Transformers research project. 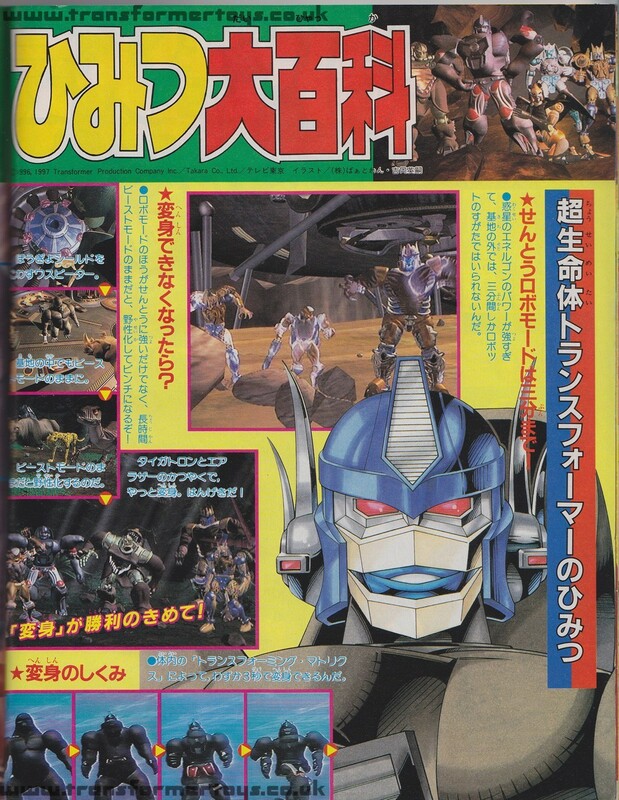 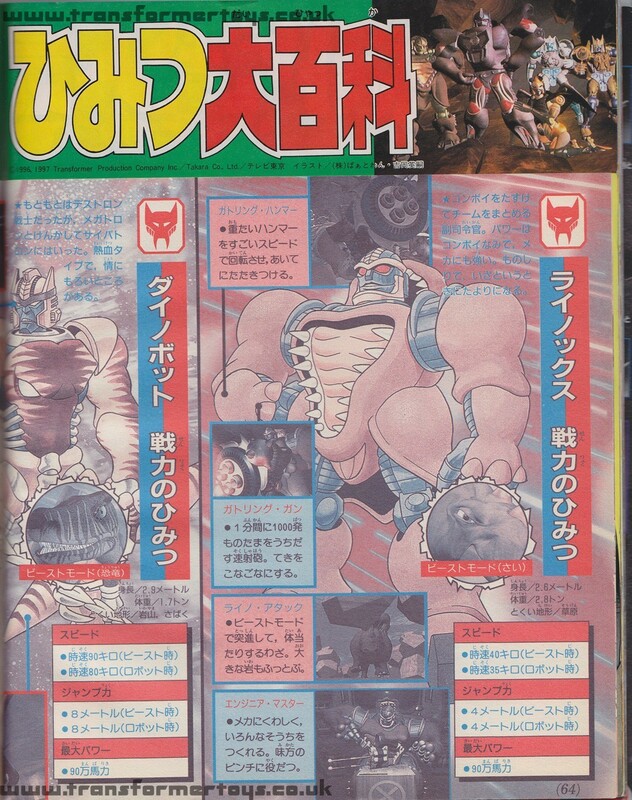 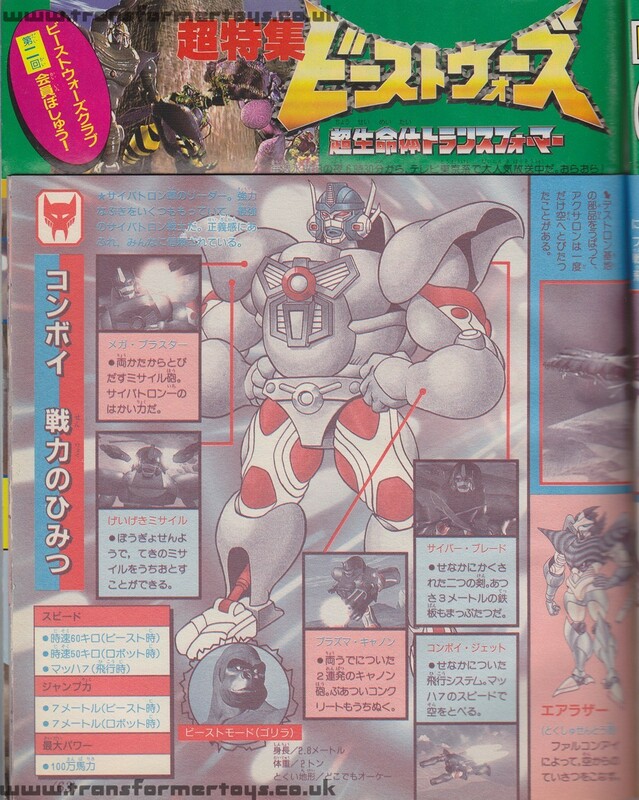 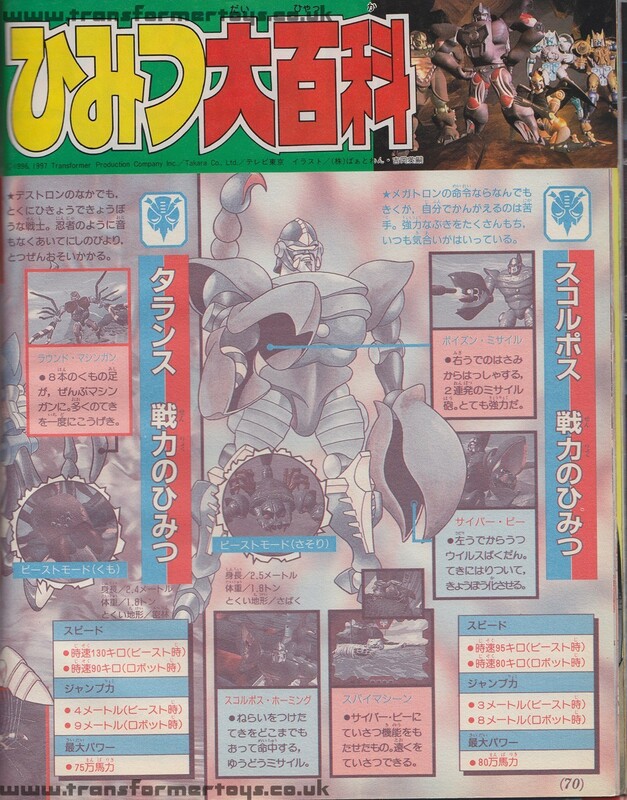 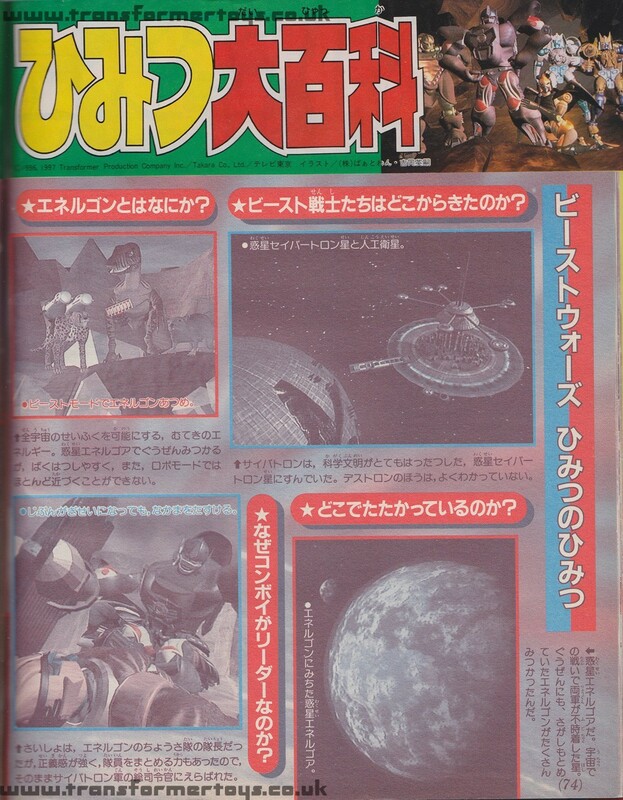 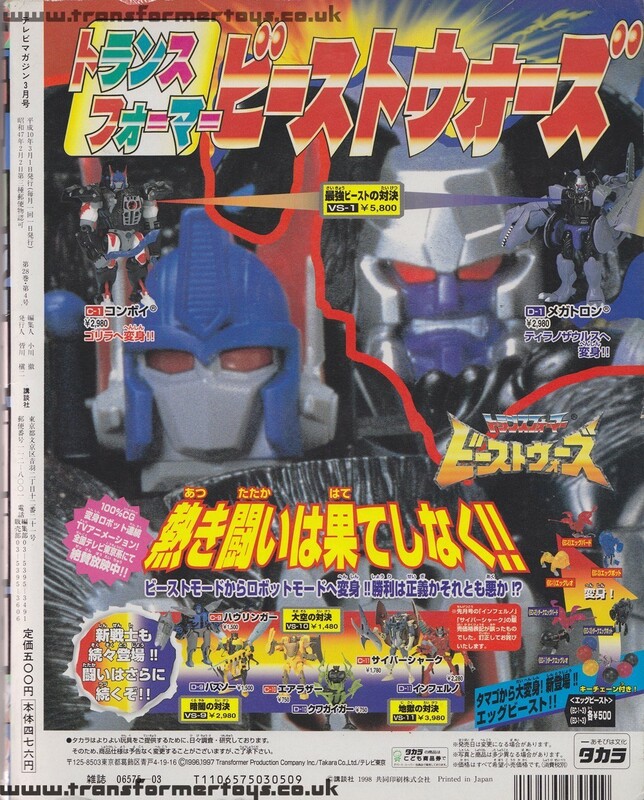 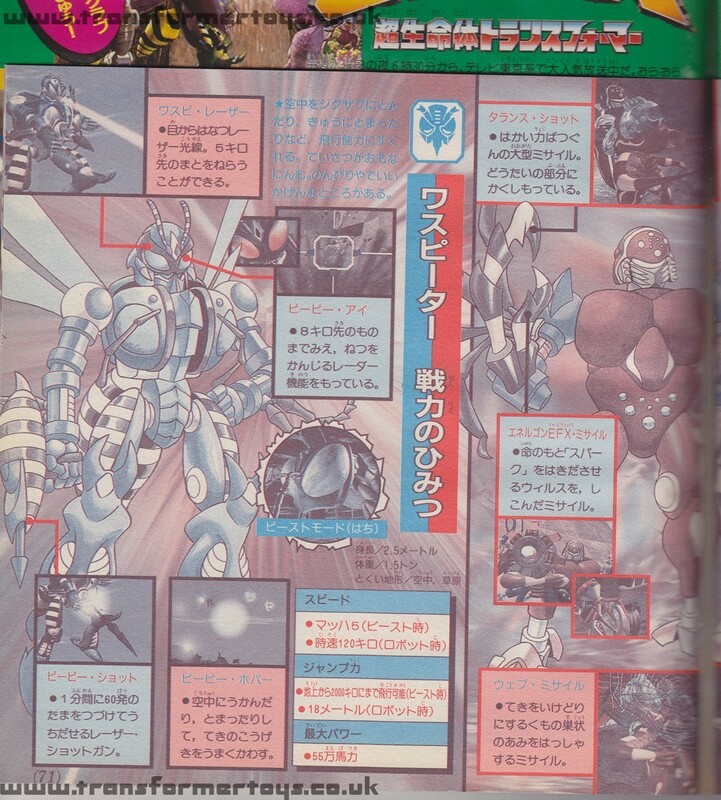 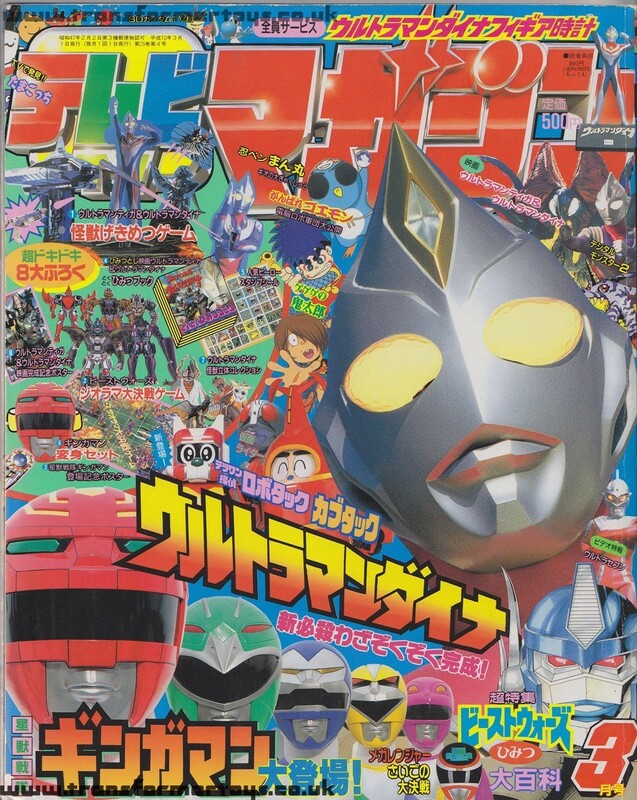 The magazine includes pages on the Beast Wars series. 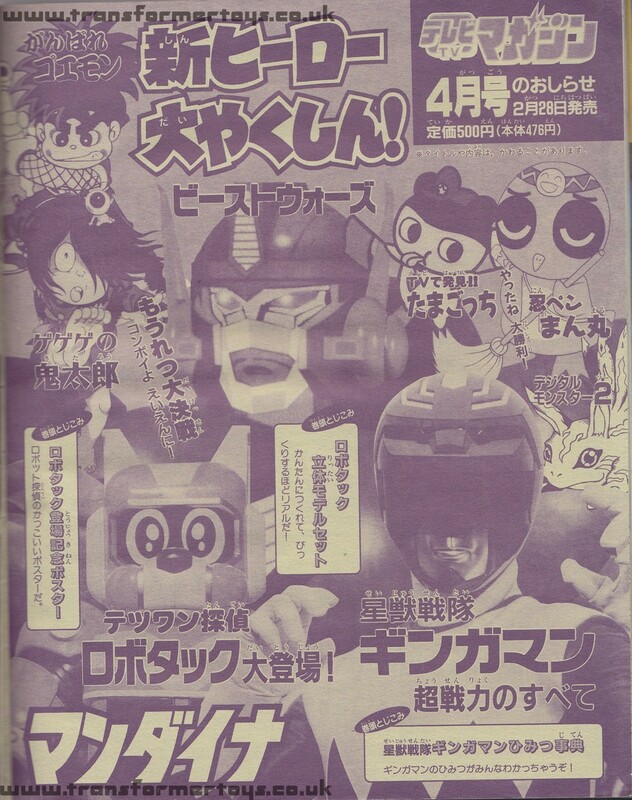 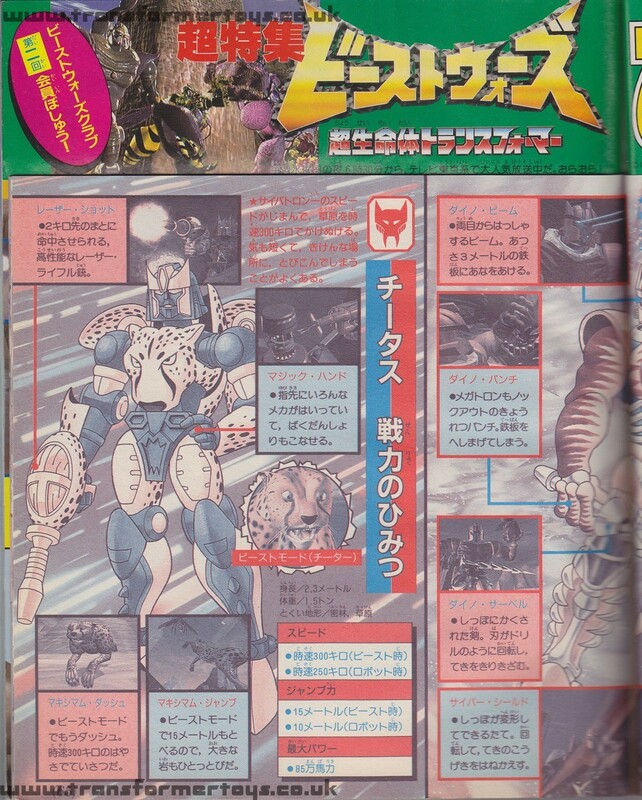 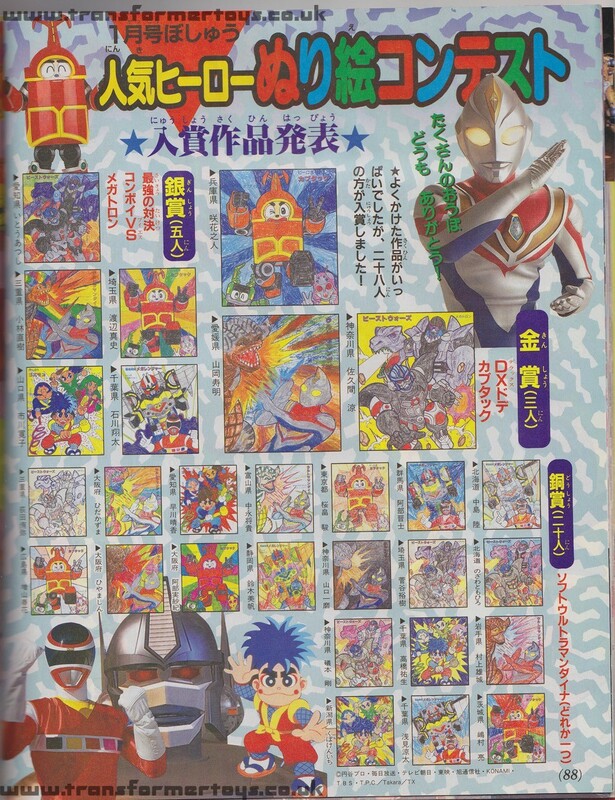 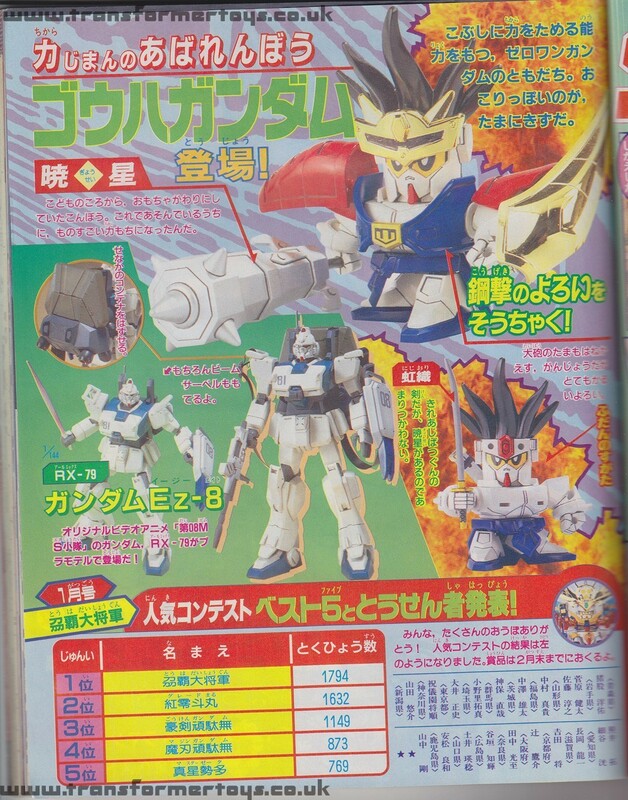 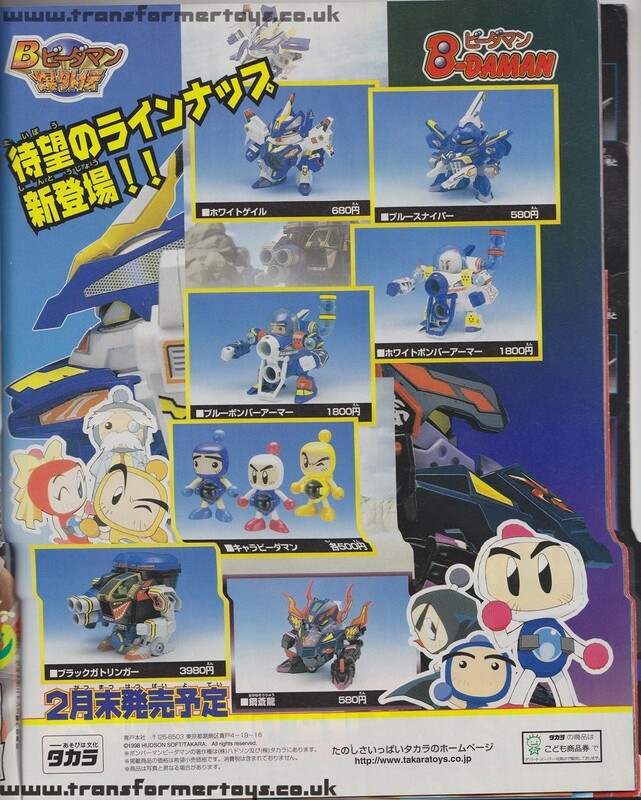 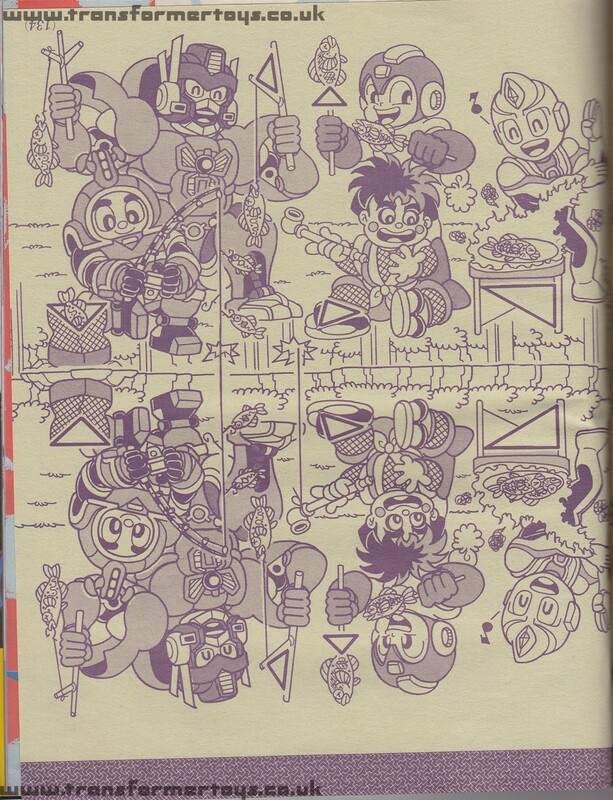 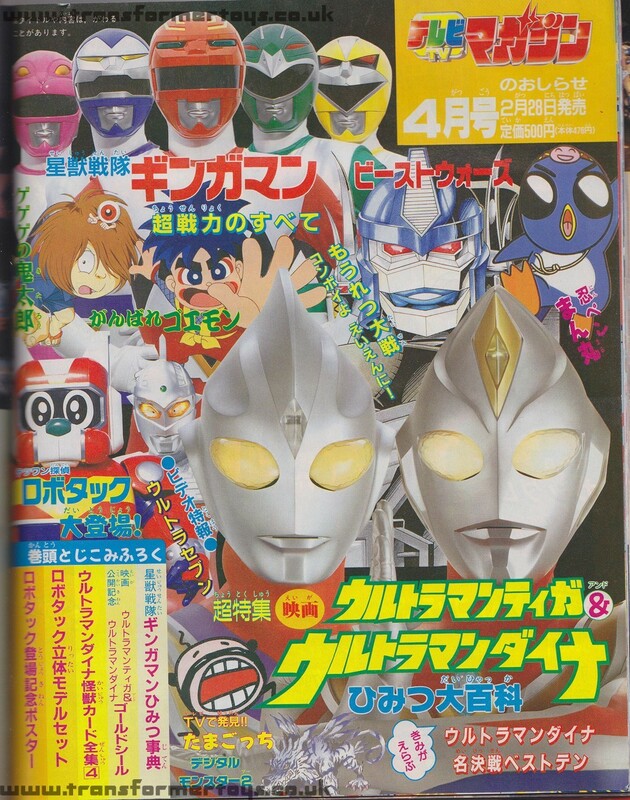 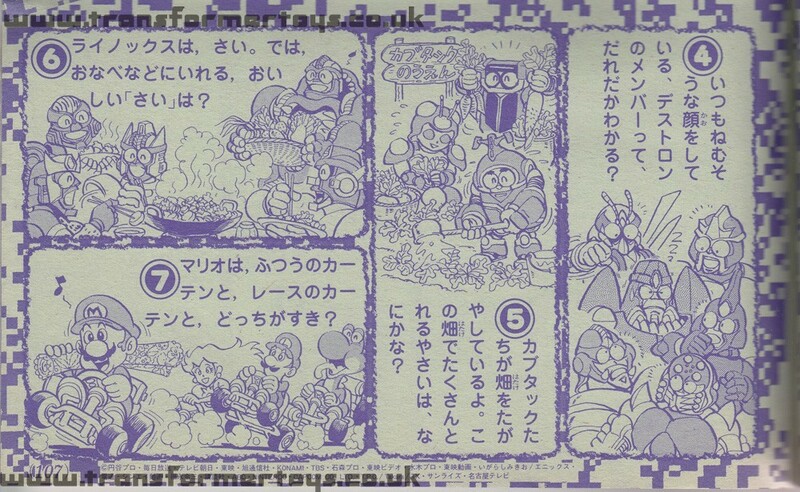 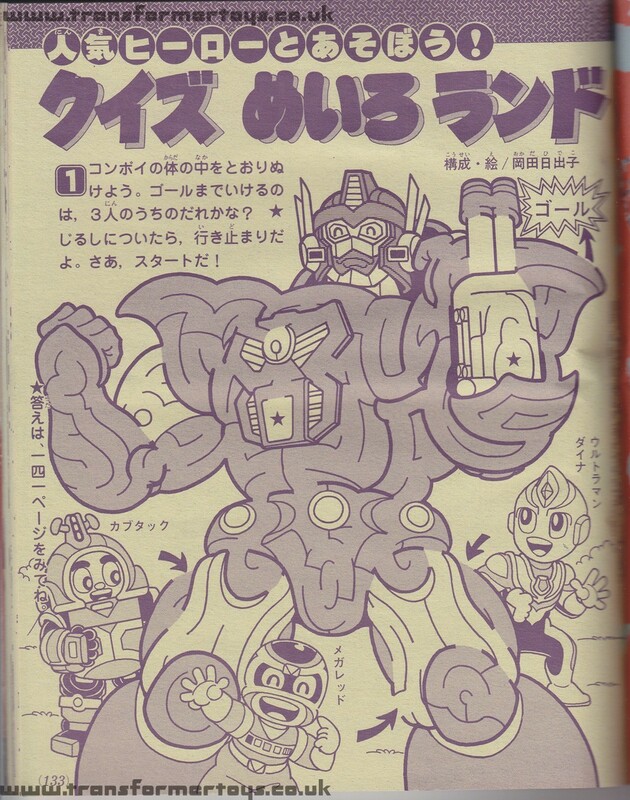 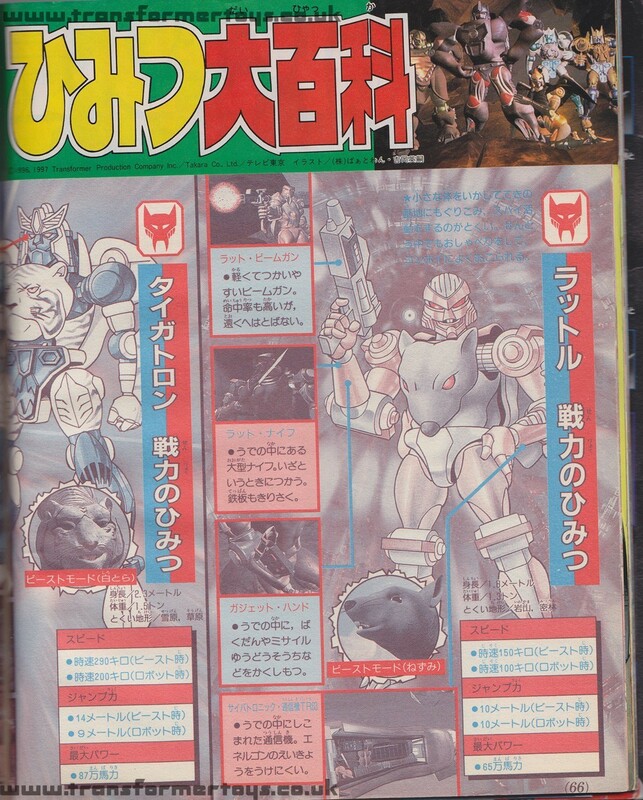 The magazine features several small cardboard Beast Wars toys. 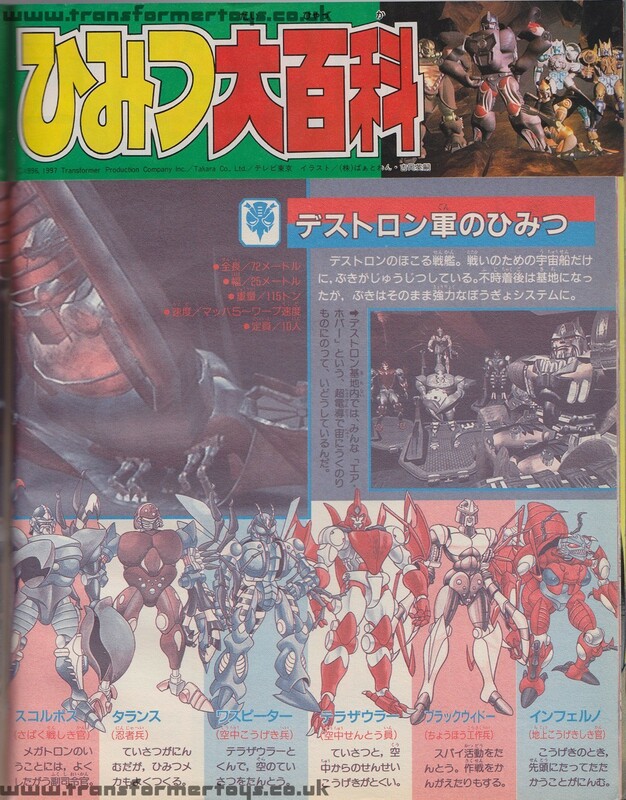 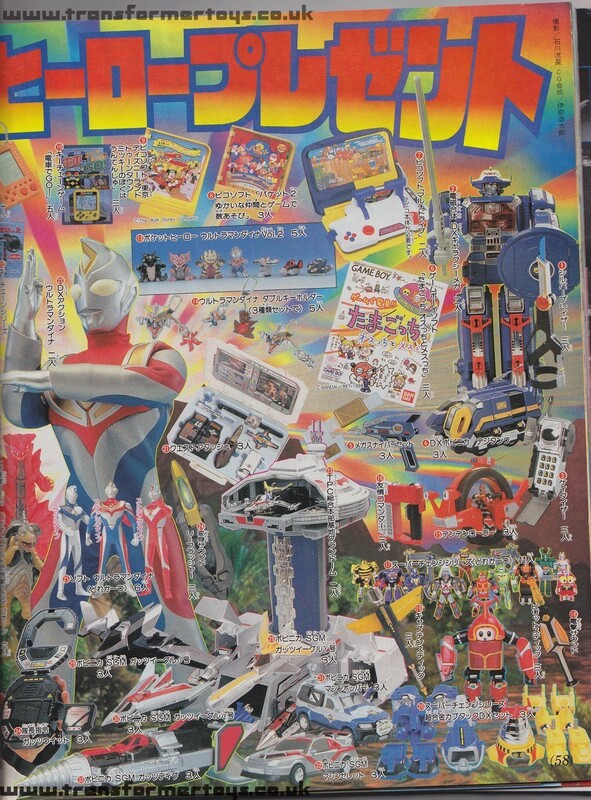 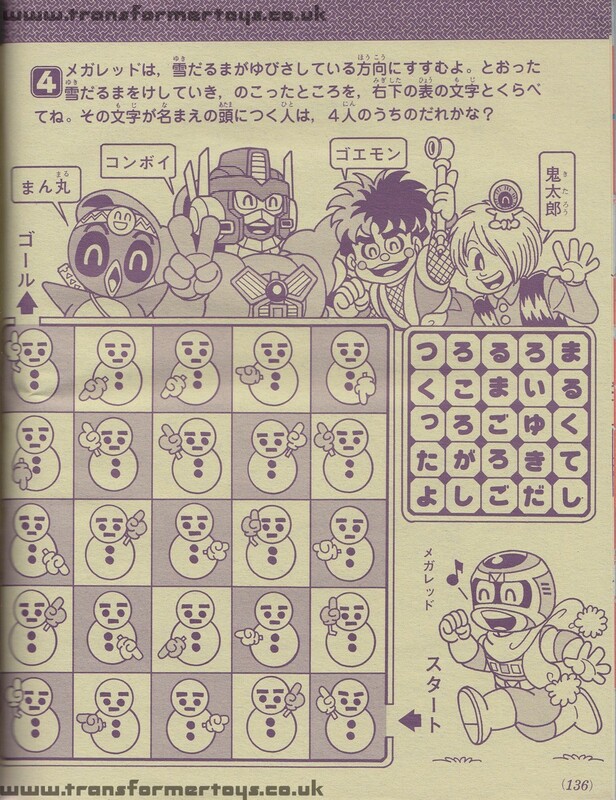 This magazine also included a draw prize for several Beast Wars toys in gold chrome. 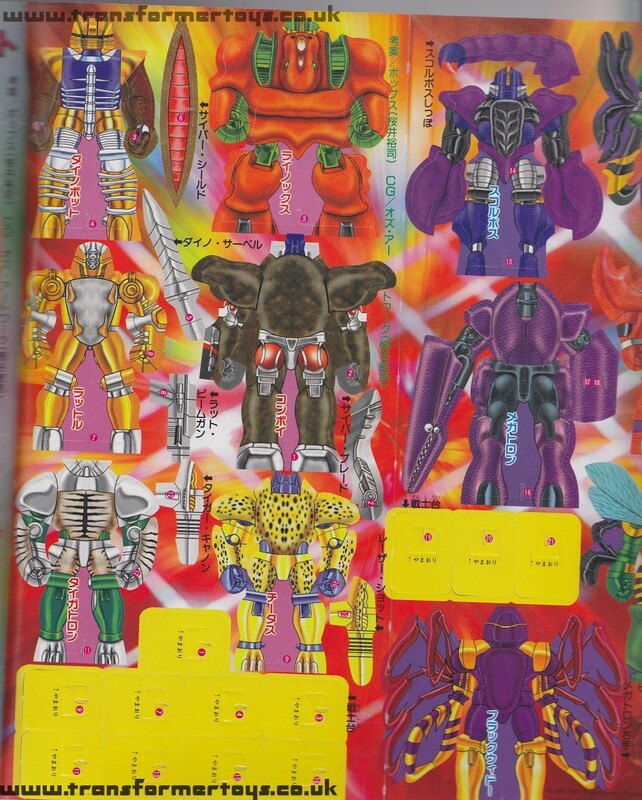 These were the first of the modern day Lucky Draw Transformers figurse, and this gallery includes the FIRST published pictures of these toys. 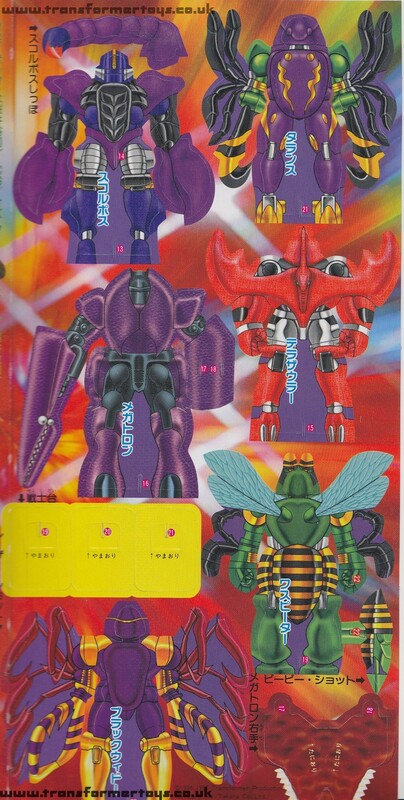 There were three prizes that contained the gold Beast Wars figures, a set of 5, that was won by one person. 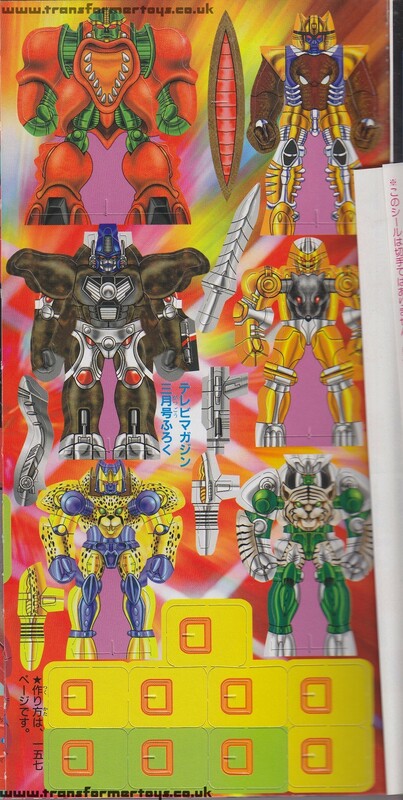 This set consisted of Gold Convoy, Gold Dinobot, Gold Cheetor, Gold Rhinox and Gold Rattrap. 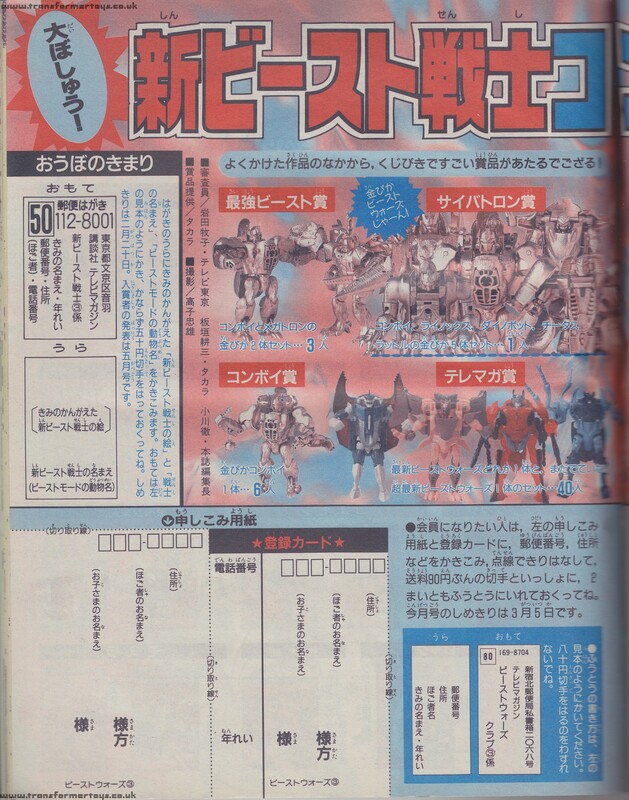 A 2 pack of Gold Convoy (Gold Optimus Primal) and Gold Megatron were given to three winners. 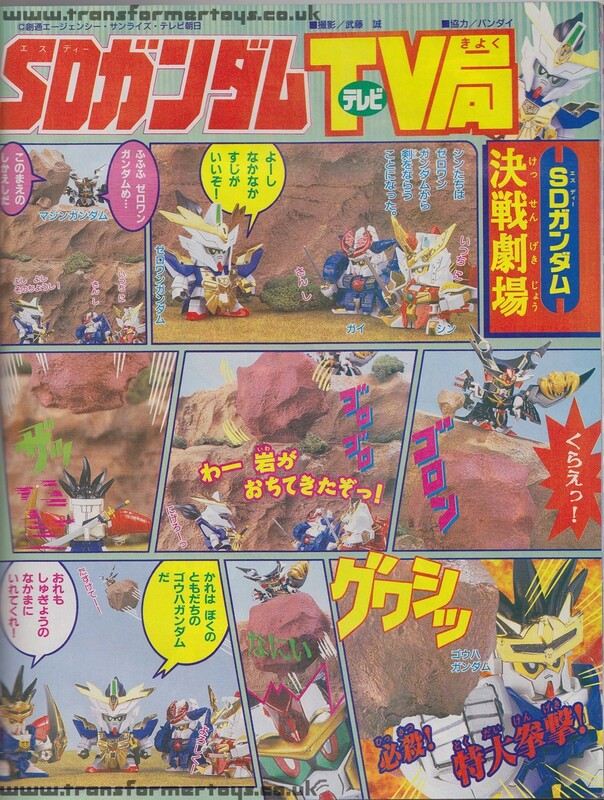 Finally an additional 6 Gold Convoy's were also given away.